The internationally renowned Hossein Omoumi, virtuoso of the Persian ney (flute) and accomplished vocalist, makes a rare NY appearance joined by the evocative vocalist Jessika Kenney, Amir Koushkani (setar and tar lutes), and Hamin Honari (tombak – goblet drum, daf – tambourine). Their program of mystical and spiritual Persian music is influenced by the Isfahan school, which is based on vocal repertoire and poetry; included are works by Rumi and Attar. Omoumi, born in Isfahan, began his musical education singing with his father and went on to study with masters Mahmoud Karimi and Hassan Kassai. 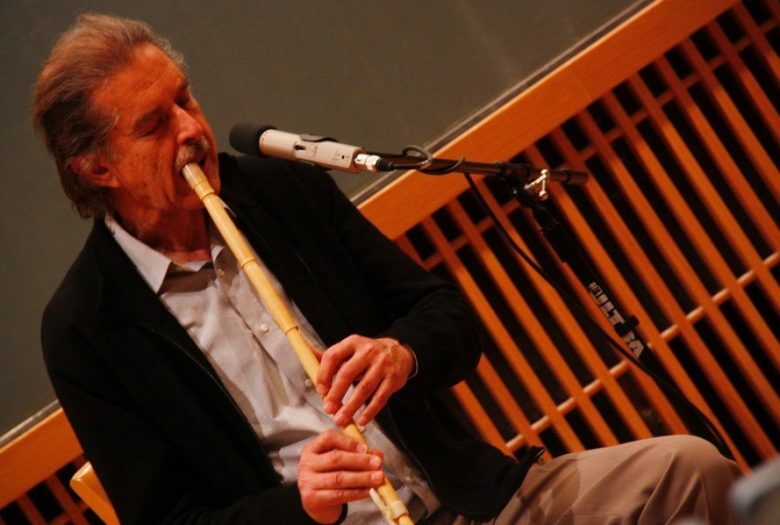 He has been acclaimed for his tours and recordings with many of Iran’s leading artists, and introduced significant innovations to the ney and Iranian percussion.